Our Super Special Booky Advent Calendar Book for Christmas Day is a sumptuous collection of amazing stories chosen from across the world, and presented by a master of children's fiction. Michael Morpurgo is an incredibly talented and inventive writer in his own right, but here he brings together a stunning illustrated collection of some of his favourite stories from right across the globe. 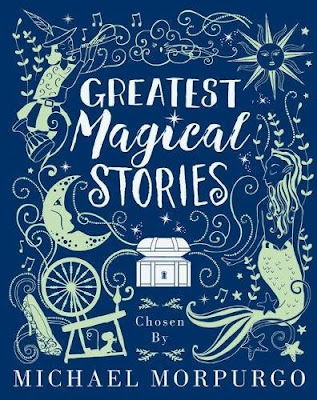 "Greatest Magical Stories" is just the sort of book I used to love receiving for Christmas myself. A huge compendium that you can just chip away at, with amazing stories touched with a pinch of magic and mystery. From tiny heroes to talking frogs, and meddling fairies to mysterious sea creatures, this is a timeless collection to treasure forever. Beautiful colour illustrations bring the magical text to life. 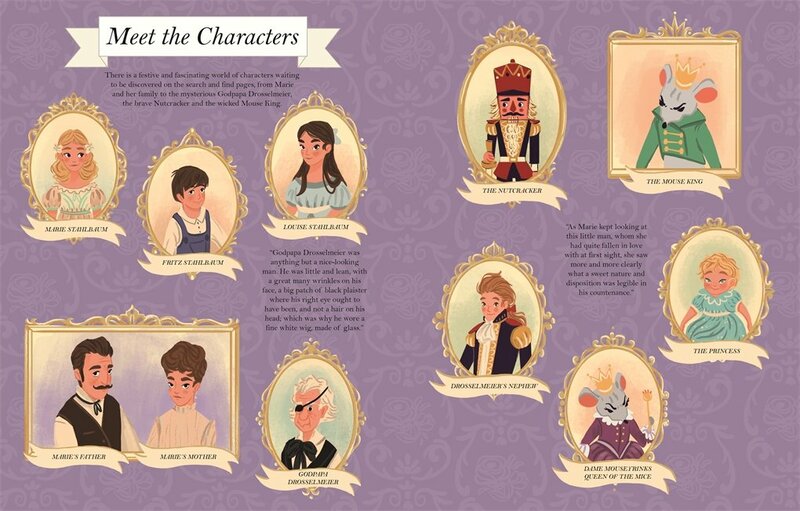 There are lots of stories to choose from, including The Frog Prince, Sleeping Beauty, and a retelling of Jack and the Beanstalk written by Michael himself. So whether you're looking for a quick read or a longer story to lose yourself in, something to read alone or a tale to share, there's a great magical story within for everyone to find. A sumptuous gift edition for young readers to treasure. "Greatest Magical Stories" curated by Michael Morpurgo is out now, published by OUP / Oxford Children's Books (kindly supplied for review). Two of the funniest folk in the business combine their considerable talents for our Christmas Eve Booky Advent Calendar entry. By now you're probably hopping from foot to foot with excitement in anticipation of tomorrow, right? Well imagine if your feet were slightly bigger than everyone else's! 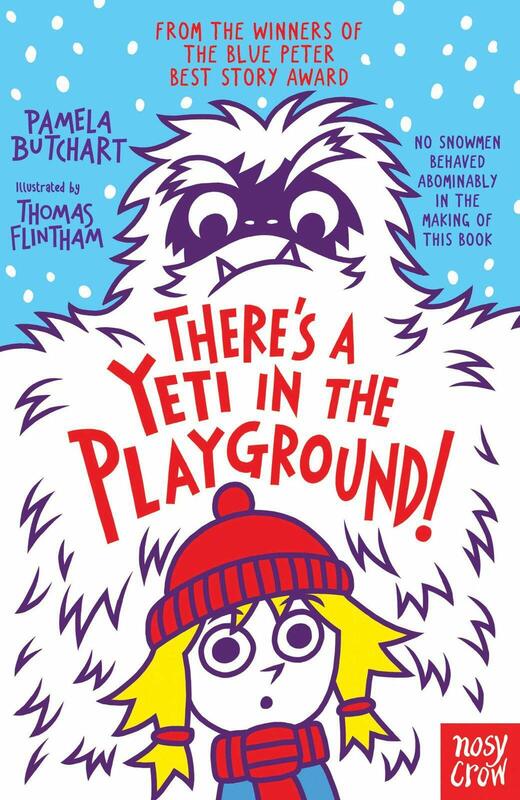 In "There's a Yeti in the Playground" the very worst thing has happened to young Izzy. The frisson of excitement at seeing snow falling heavily while everyone's tucked up in the warm at school swiftly changes to disappointment as the snow falls so heavily that Izzy and her friends find themselves snowed in. Worse still, they're not alone. Somewhere out in the playground, someone discovers a whopping great big footprint - and it definitely doesn't belong to a teacher. Teachers don't walk around barefoot in the snow after all, do they? 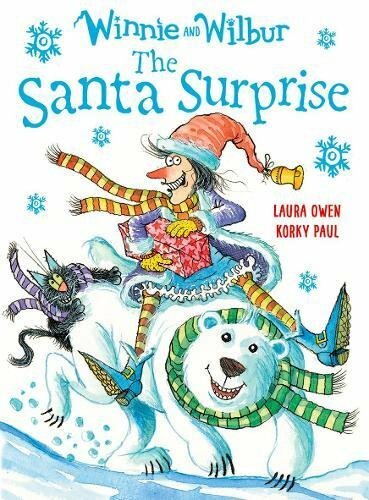 From Blue Peter Award winners Pamela and Thomas comes a brilliant story that has just a pinch of festive wintry awesomeness about it to make our Booky Advent Calendar list. And that's the last entry in this year's Booky Advent Calendar. We'll be taking a break till later in December when we'll be back for our annual New Years Eve Booky Roundup of all the awesomeness of 2018. See you then!! Have a Happy Christmas from us, and a prosperous and very booky new year! There's a couple of shopping days left before Christmas, so we thought it would be fun to make our Booky Advent Calendar Day 23 choice of books wholly appropriate. Well it is "The Night Before The Night Before Christmas" after all. So how is Santa doing with his plans for the big day this year? As the 23rd December arrives, this fun rhyming homage to the classic poem by Clement C. Moore sees a frenzy of activity up at the North Pole in Santa's workshop. 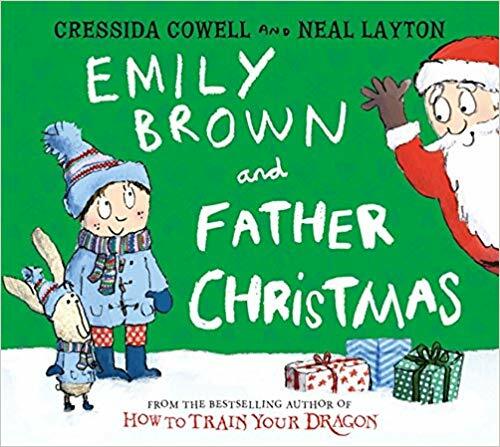 Full of gentle christmas humour, fab rhymes that just trip off the tongue and some beautifully seasonal illustrations, this is a fab book to wheel out on Christmas Eve Eve! 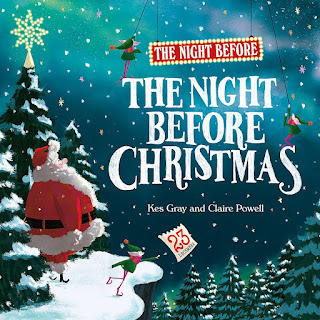 "The Night Before The Night Before Christmas" by Kes Gray and Claire Powell is out now, published by Hodder Children's Books (kindly supplied for review). In "Pick a Pine Tree" by Patricia Toht, with illustrations by mega-talented illustrator Jarvis, every single atmospheric page spread is sizzling with the joys of Christmas, and in particular the grand tradition of decorating the centrepiece of any Christmas celebrations - the Christmas Tree itself. With gentle and very clever rhymes, and the most beautiful colourful and characterful pictures, this one is as inviting and absorbing as a deep-filled mince pie covered in whipped cream. YUM! Kids will absolutely adore the clever lilting way the story trips off the tongue, as well as all the tiny little details Jarvis has worked into each page spread. It's a true christmas treat! 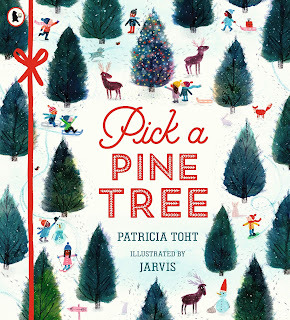 "Pick a Pine Tree" by Patricia Toht and Jarvis is out now, published by Walker Books (kindly supplied for review). The scores are in, the choices have been made, it's our massive "Book of the Year / Publisher of the Year" blowout for 2018! C is up first with her Picture Book of the Year choice and we zip back to April for a compendium of chaos, a snort-fest of a comic collection from a master of mayhem. (I think it took her all of about 5 seconds to decide!) Rarely have we seen a funnier comic than this, it's just absolutely hatstand. 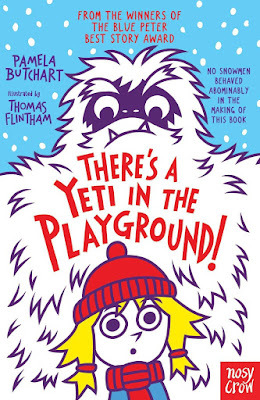 It's easy to exaggerate kids' reaction to funny books but read the review and you'll see why poor C nearly broke something giggling at this one. 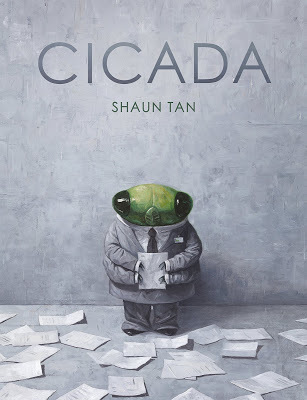 For me, a picture book that managed to convey a complex multi-layered and endlessly beautifully upbeat message within the pages of a story that, for many of us, has a real air of familiarity to it. It was very, very difficult to choose from such a blisteringly brilliant list of books that have wowed us this year. We have nominated a whopping 124 Picture Book / Comic of the Week winners this year, sometimes with no choice but to cram in as many on a friday as we can. We've also nominated a whopping 41 Chapter Book of the Week winners too, with an amazing range of titles. So who were our Chapter Book of the Year choices for this year? 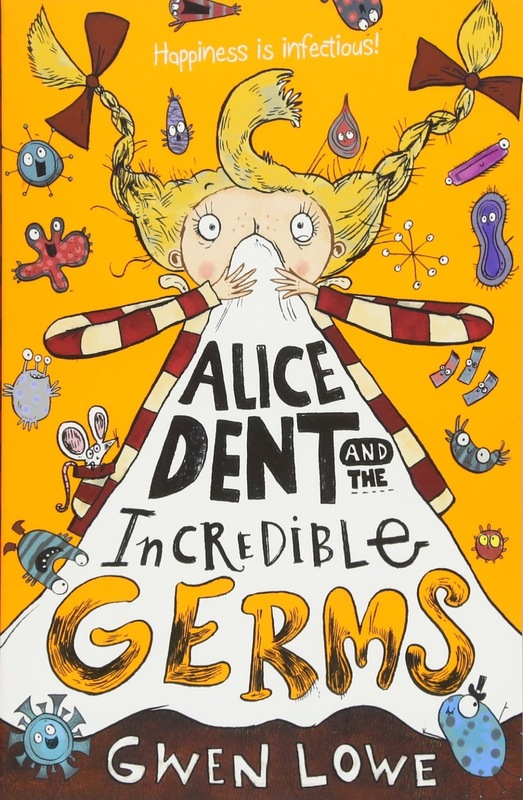 She thoroughly enjoyed this intoxicating and original mix of germs, brilliant story hooks, and of course a mighty girl with a very odd 'super-powered' ailment that has the most unexpected side effects. Alice Dent is fab, but I think for both of us the sinister minister and his nasty masked henchmen was a truly inspired creation. Fantastic stuff from Gwen, we can't wait to see what she cooks up next! A completely satisfying, enthralling and blisteringly paced end to a trilogy which I'm rooting for as Philip's next cinematic outing (after all, we're all completely blown away by "Mortal Engines" hitting the big screen). 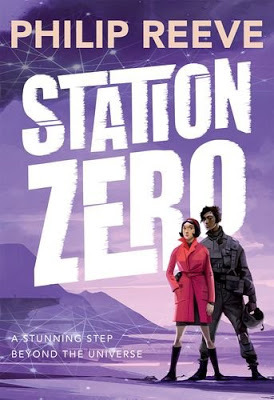 Smart sci-fi for middle graders is a rare bird indeed, but Philip has wrought a tightly knit universe here full of amazing technology, the galaxy spanning trains, and characters that you can truly bond with and even grow with over their book journeys across the three Railhead novels. Absolutely fantastic stuff, can't wait to see what Philip comes up with next. Last but not least we've got two more awards to dish out - this time the Publisher of the Year awards in picture book / comic and chapter book categories. 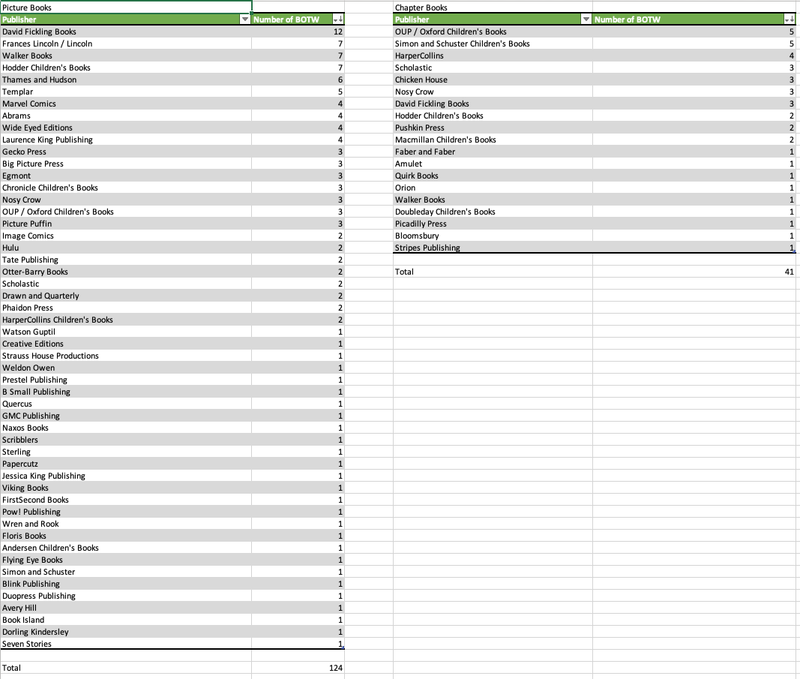 Each winner racked up the most number of "Book of the Week" wins in each category but we'll start in reverse order with 3rd, 2nd and 1st for each. In joint 2nd place: Hodder Children's Books, Frances Lincoln / Lincoln Children's Books and Walker Books - each with 7 Book of the Week wins in 2018. In 1st place - our Children's Picture Book / Comic Publisher of the Year 2018 with a whopping 12 Book of the Week wins is David Fickling Books. Congratulations all at DFB! Now on to Chapter Book Publisher of the Year. We have chosen the publisher of Middle Grade and YA books notching up the most Book of the Week wins in 2018 but starting in reverse order. In 3rd place: 5 publishers each notched up 3 Chapter Book of the Week wins in 2018, so congratulations to David Fickling Books, Chicken House, Nosy Crow and Scholastic. In 2nd Place: HarperCollins with 4 Chapter Book of the Week wins in 2018. Lastly in joint first place, two publishers nabbed 5 Book of the Week wins in our Chapter Book category this year so massive congratulations to both Simon and Schuster, and OUP / Oxford Childrens Books - our Chapter Book Publishers of the Year. Congratulations all, a hard fought contest with two clear winners at the end! Well done! 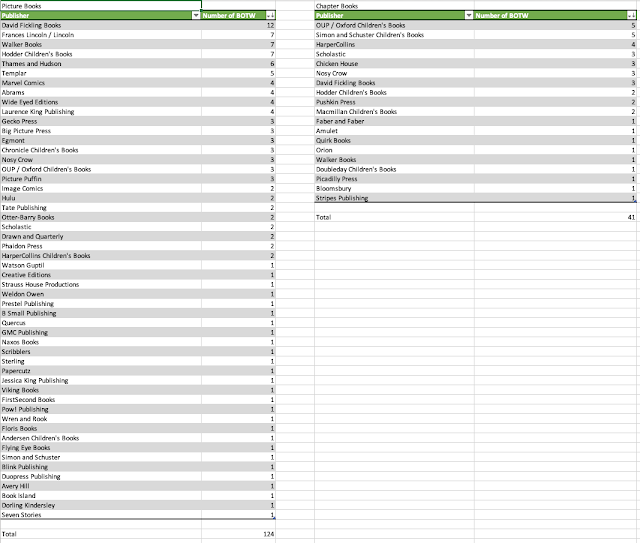 Here are our stats, so you can see all the other publishers who nabbed Book of the Week wins this year. Makes for interesting reading, and as you can see, it was quite a close contest! Join us again in 2019 for even more brilliant books, more reviews and editorials, and hopefully lots and lots more Book of the Week wins for all our winners, and all the other authors, illustrators and publishers who came out swinging with some truly brilliant titles this year. 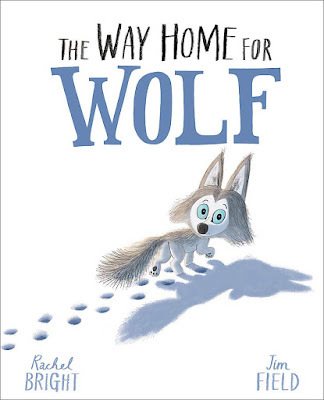 Our Booky Advent Calendar Book of the Week book for Day 21 is actually just that! A Booky Advent Calendar featuring a gorgeous and heartwarming story, as well as 24 (and a half) brilliant activities and makes that your kids can get busy with as we get closer and closer to Christmas. 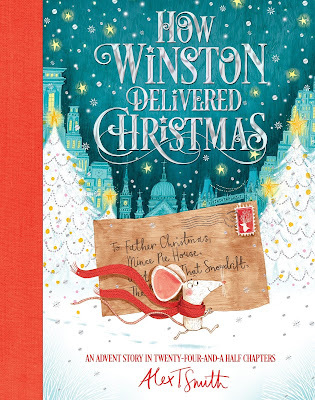 Follow Winston the mouse as he sets out to deliver Oliver’s letter to Father Christmas on Christmas Eve. He has a lot of Very Exciting Adventures on this Very Important Mission and makes some wonderful friends along the way. Like an advent calendar counting down to Christmas, each day also features festive things to make and do – you can write a letter to Father Christmas and make mince pies, Christmas cards, presents and decorations. 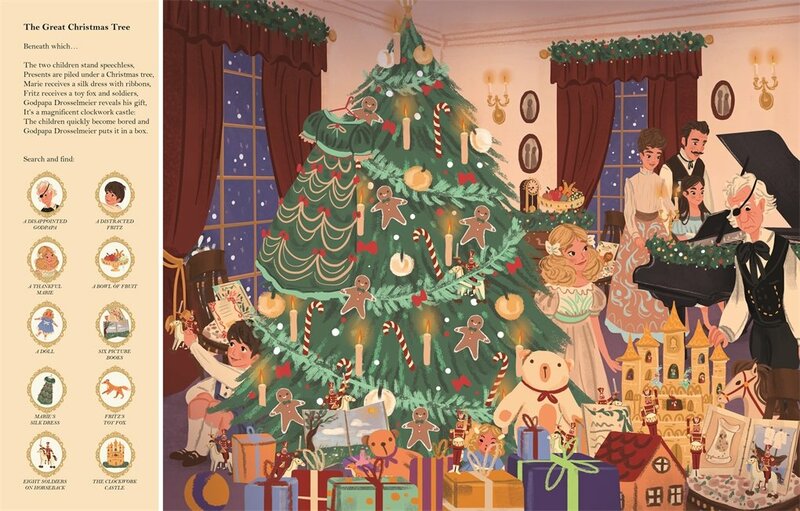 It is a heart-warming tale to share every year in the run up to Christmas, and is full of gorgeous colour illustrations and activities to do together that will become festive family traditions. Far better than eating rubbishy tiny bits of chocolate every day, or trying to work out what the hootin' heck that lego 'thing' is supposed to be. 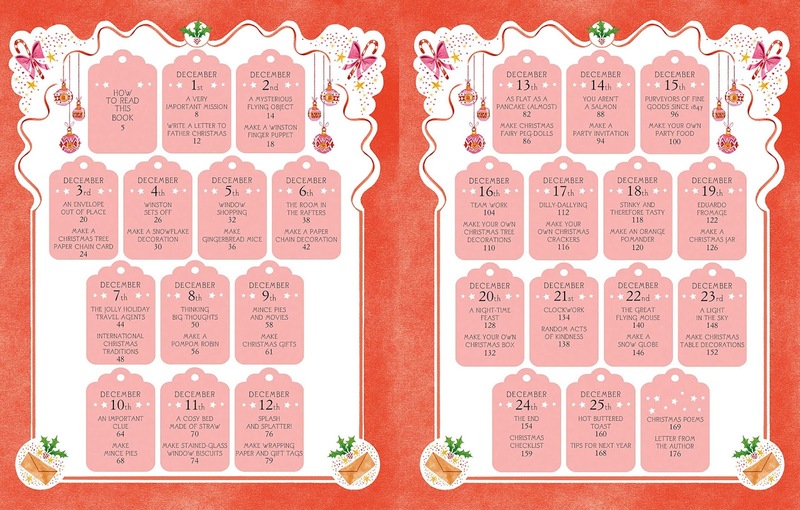 A proper Booky Advent Calendar, we love it! "How Winston Delivered Christmas" by Alex T. Smith is out now, published by Macmillan Children's Books (kindly supplied for review). Day 20 of our Booky Advent Calendar and a really brilliant little book that once again shows just how amazing Pikku's catalogue of titles really are. 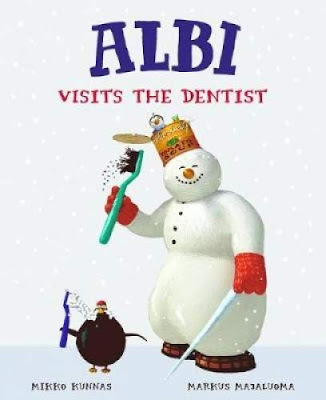 "Albi visits the Dentist" by Mikko Kunnas and Markus Majaluoma is the hugely original story of a snowman who has the most amazing coal-black smile. Albi is off to the dentist. He always brushes his teeth and is pretty sure he's going to get a clean bill of health. But the dentist takes a dim view of Albi's black toothy-pegs - and decides to swap them out for bright gleaming white ones. But poor Albi doesn't quite feel the same. No one smiles at Albi any more. Can you guess why? "Albi visits the Dentist" by Mikko Kunnas and Markus Majaluoma is out now, published by Pikku Publishing (kindly supplied for review). Booky Advent Calendar Day 19 and a real treat for busy little bees who love looking through all the tiny little details in their picture books. 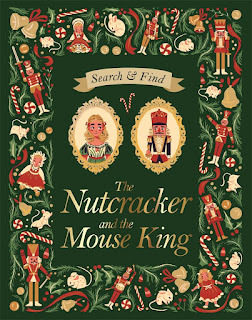 The latest "Search and Find" book from Studio Press, with gorgeous illustrations from Federica Fenna is inspired by the classic Christmas story "The Nutcracker and the Mouse King" by E.T.A Hoffmann. The book begins by introducing you to the major players in this fantastic christmas tale, including of course the gnash-toothed Nutcracker, and his nemesis The Mouse King. We've seen so many amazing stage productions of this story so it's great to have a book to accompany our memories of a story that has all the classic elements of a brilliant christmas tale. 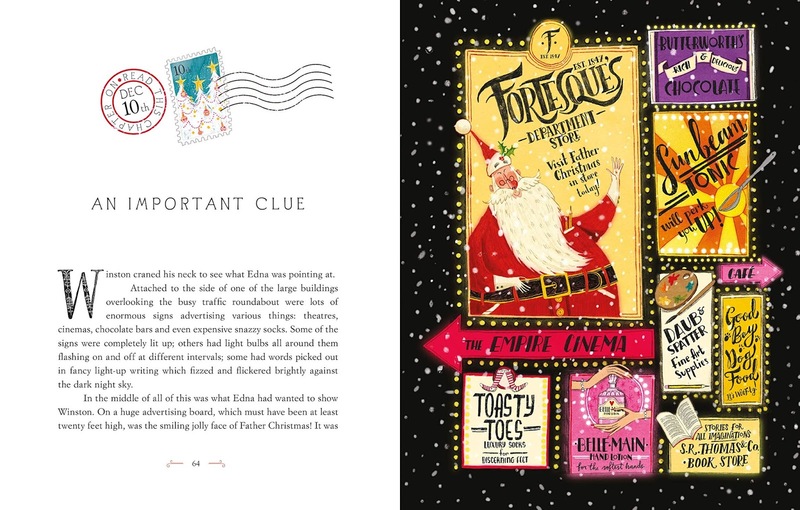 The aim, of course, is to find all the hidden objects in each page spread - beautifully illustrated as they are, and chock full of seasonal details. Meet the cast. The steadfast Nutcracker and the nefarious mouse king! Each scene is so beautiful and atmospheric, a real christmas treat! Isn't that the most beautiful christmas tree you've ever seen in a children's book? You can almost taste those gingerbread men! Utterly fantastic, and a perfect christmas book gift. 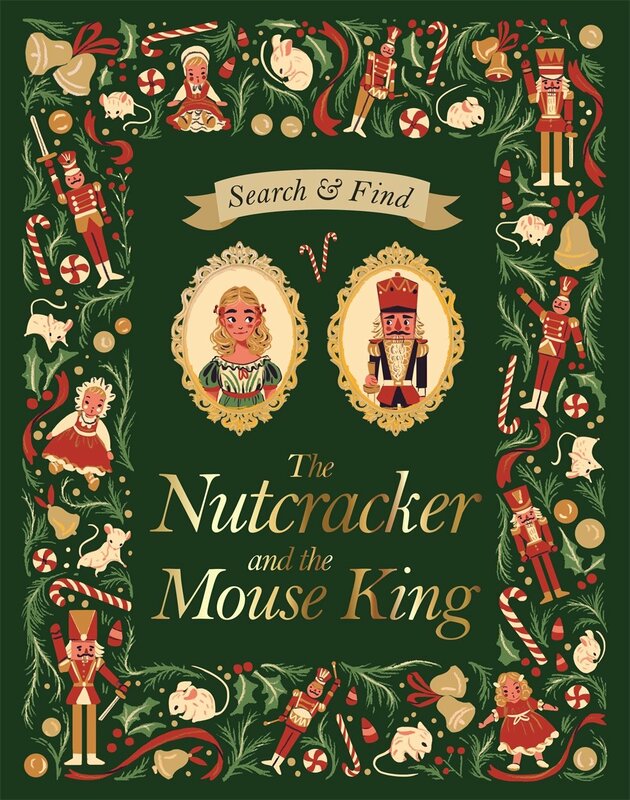 "Search and Find: The Nutcracker and the Mouse King" by E.T.A Hoffmann and Federica Fenna is out now, published by Studio Press (kindly supplied for review). Day 18 of our Booky Advent Calendar and we're ensuring that older kids get a look-in as well, with another fantastic middle grade book to tempt you during the festive period. "Hamish and the Terrible Terrible Christmas" is a special festive-flavoured outing for Danny Wallace's reluctant hero. Hamish soon discovers that even though every single shop is playing "Merry Christmas Everybody" by Slade, and all the ad breaks are showing holiday or rotten perfume ads, the task of saving the world hasn't gone away just because there's a smattering of snow on the ground. In this three-story compendium, Hamish Ellerby and his friends in the PDF will have to deal with rotten sweetie salesmen with a hidden agenda, unexpected christmas eve visitors (don't you just HATE those!) and some nefarious creatures who want to put Starkley on the map - of DOOM! Written in Danny's blisteringly paced and brilliant humour (psst, don't tell David Walliams but C actually prefers Danny's books to his!) this is a christmas corker that's even better than an ugly christmas sweater in the 'coolness' stakes. 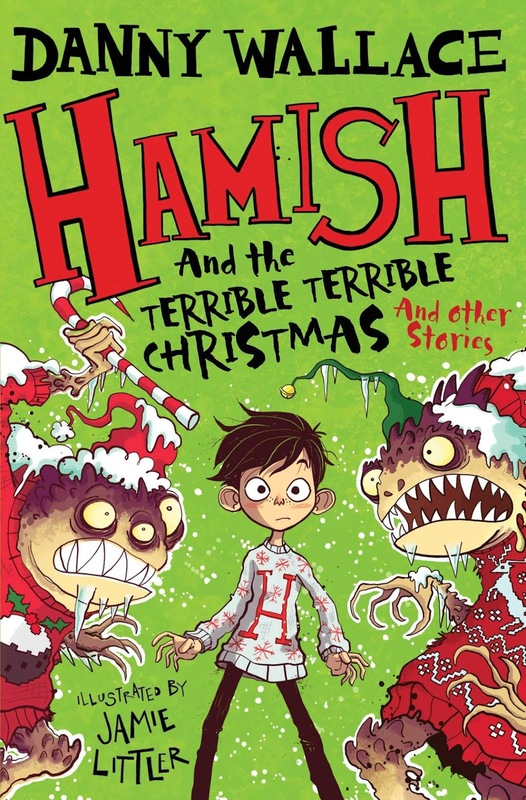 "Hamish and the Terrible Terrible Christmas" by Danny Wallace, with illustrations by Jamie Littler is out now, published by Simon and Schuster Children's Books (kindly supplied for review). Day 17 on our Booky Advent Calendar and as the big day gets closer and closer (8 sleeps to go!) we're digging deeper into our Christmas Book Sack to bring you some absolutely brilliant books. 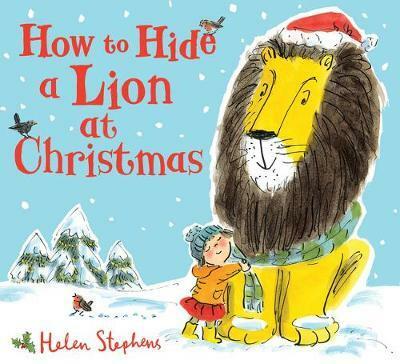 Like "How to Hide a Lion at Christmas", the fourth book in Helen Stephens' whimsical and delightful series. When Christmas comes, the family are going away but Mum says the lion must stay behind. After all, you can't take a lion on a train. 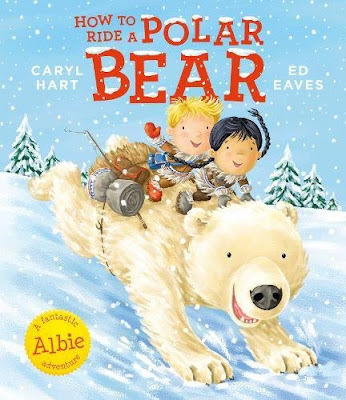 With lots of snowy atmosphere and a gorgeous 'road trip' of a story for Lion, this is a warming Christmas tale with a gloriously happy ending perfect for snuggly little toes as they curl up under the duvet for a story. "How to Hide a Lion at Christmas" by Helen Stephens is out now, published by Alison Green Books (kindly supplied for review). For Booky Advent Calendar Day 16, we do love any book that comes with a quote on the front from a kid, who pretty much nails the essence of the book in a short sentence. "Lots of Fun and Lots of Silly!" is exactly the best way to describe the latest adventure for King Flashypants. 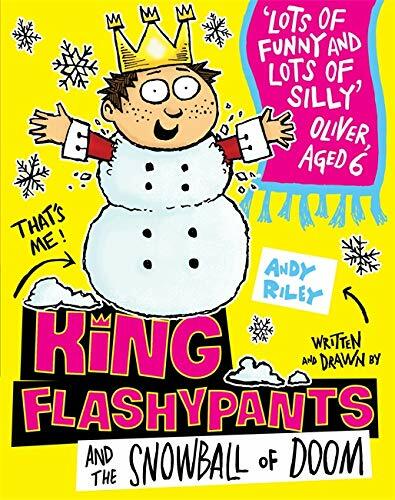 In "King Flashypants and the Snowball of Doom" by Andy Riley, we return to the realm of Edwinland and Nurbisonia as the coldest winter in a century bites down with icy teeth. Evil Emperor Nurbison isn't having any of this "wrapping up warm" business, so he steals all his peasants' firewood and woolly hats just because he can. So there's a mass exodus to Edwinland, the kingdom of nine-year-old King Edwin, who welcomes the new folk with open (if slightly shivery) arms. The furious emperor isn't happy at the loss of his (less than) loyal subjects, and so he talks the scary Ice Folk into joining him in his latest dastardly plan to make life difficult for Edwin and his new peasants. But Edwin is determined not to let Nurbison get away with it. He is a noble king, after all! 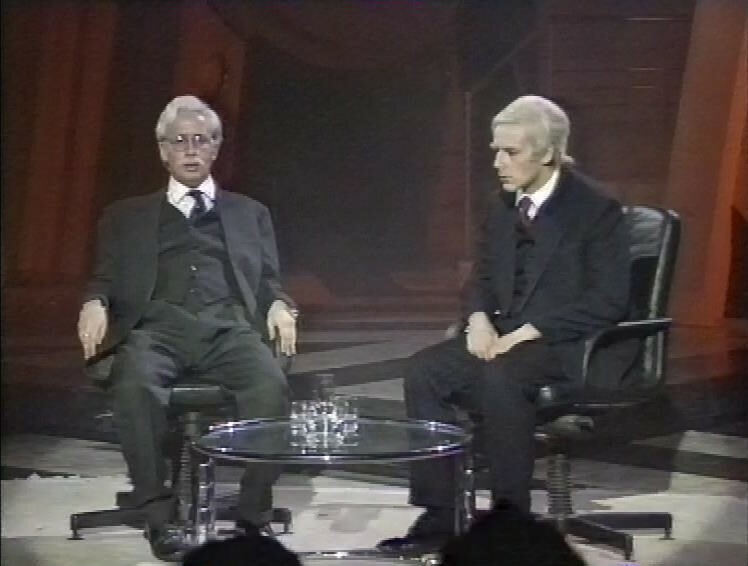 Alas, for King Edwin there's a slight problem - a voice of doubt in his head called Wendy Worry, who keeps telling him he's not up to the job of being king, is nagging away at him as he tries to do his best to resolve the situation. How can King Flashypants beat Emperor Nurbison AND Wendy Worry at the same time? This is another fizzingly brilliant romp from Andy, but with a semi-serious message about dealing with childhood anxiety tucked between the hilarious tos and fros between King Flashypants and Emperor Nurbison. Actually more thought-provoking than you might think for a funny book. "King Flashypants and the Snowball of Doom" by Andy Riley is out now, published by Hodder Children's Books (kindly supplied for review). There's absolutely no reason why even the tiniest of mites should miss out on some Christmas Booky Advent Calendar fun! So for Day 15 we're looking at a truly adorable new little cloth book in Nosy Crow's superb little "A Tiny Little Story" range. 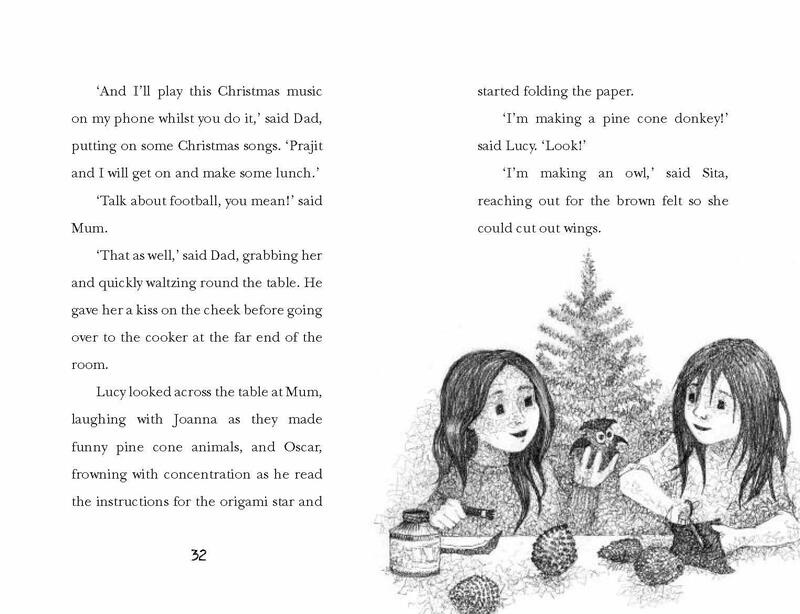 This special "A Tiny Little Story: Christmas" cloth book is absolutely beautifully presented, with a simple little story to develop children's love of books as early as possible. It's Christmas time for Baby Boo and the snow is falling outside. Join him as he makes a snowman, decorates the Christmas tree and looks out for Santa! It really is a gorgeous little book this, though C might be way too old for cloth books she can't wait to share this one with her little baby cousins, who are also turning into little bookworms in their own right. With a buggy hook and chew-proof cloth pages, and gorgeous contrasting colours and illustrations, this is perfect for taking with you while you're out and about with Baby this christmas. 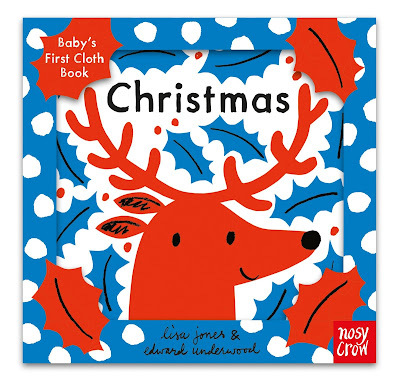 "A Tiny Little Story: Christmas" by Lisa Jones and Edward Underwood is out now, published by Nosy Crow (kindly supplied for review). Our Booky Advent Calendar Day 14 and second Christmas Book of the Week is an absolutely gorgeous celebration of all the things that make the festive season so special for little ones. 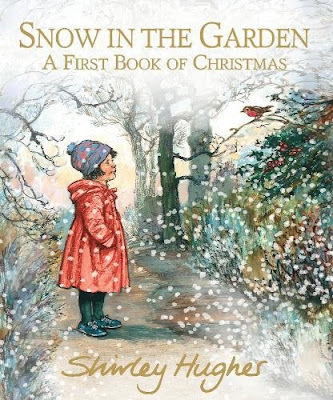 "Snow in the Garden: A First Book of Christmas" by Shirley Hughes is such a warm hug of a book, once again showing that Shirley really knows how to conjure up such warming and atmospheric stories, with the most amazing illustrations still making our jaws collectively drop. This beautiful Christmas anthology contains winter adventures, seasonal poems, festive recipes and easy-to-make craft activities. It's the sort of book that I have a dim and distant memory of from childhood, something you'd get on Christmas Day and excitedly unwrap - and still be reading and enjoying months later. An instant christmas classic, utterly perfect in fact! "Snow in the Garden: A First Book of Christmas" by Shirley Hughes is out now, published by Walker Books (kindly supplied for review). Unlucky for some, but not for us - or you - It's Day 13 of our fabulous "Booky Advent Calendar" and a new festive snowy story from Anne Booth, with beautiful illustrations from Sophy Williams. 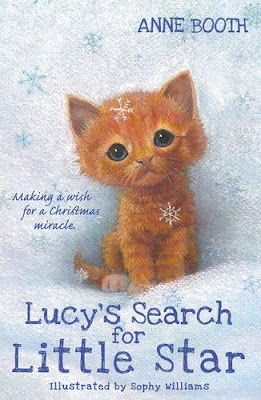 "Lucy's Search for Little Star" is the latest story centring around a special little girl who truly adores all animals. Lucy is on holiday with her family when she meets a curious little kitten called Star. He's a tiny little thing and he follows her everywhere. Christmas is drawing near and the snow begins to fall thick and fast. When Star, and then Lucy, find themselves in serious trouble-lost in a snow storm-Lucy's magic snow globe is their only hope. Close your eyes and make a wish-miracles can happen! A cuddly, warm and wholly atmospheric festive story, this is perfect for animal lovers of all ages - particularly kids who are beginning their reading journeys. If little kitten Star doesn't melt your heart this christmas, nothing will! "Lucy's Search for Little Star" by Anne Booth and Sophy Williams is out now, published by OUP / Oxford Children's Books (kindly supplied for review). Oh we do love a bit of gothic magic at Christmas, so as we open the twelfth door of our Booky Advent Calendar, we usher in the welcome return of a blog favourite. "Isadora Moon Makes Winter Magic" is an all new adventure for Harriet Muncaster's fabulous character. Isadora is half vampire, half fairy but totally unique. 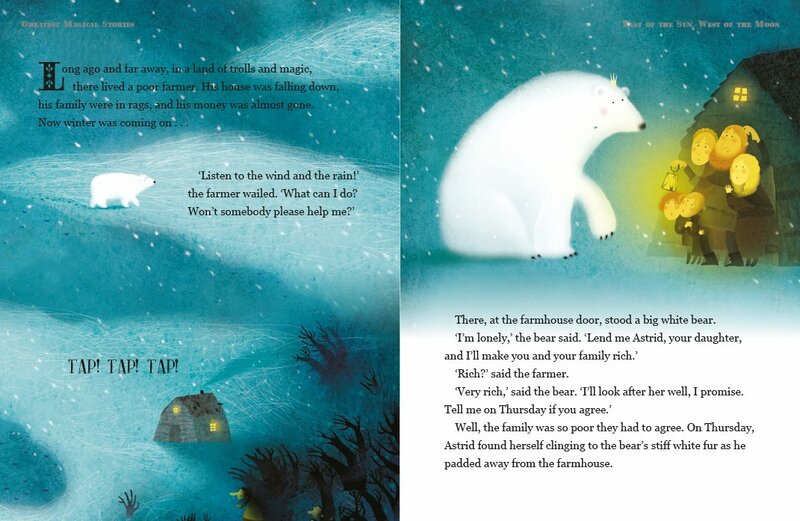 Isadora loves playing in the snow, especially when she discovers that her magical icy creations come to life! But snow magic can't last forever. Will she be able to save her new friends before they melt away? Join in with a story that also has loads and loads of fab festive activities to make and do, making this the perfect booky gift to last through Christmas and beyond. 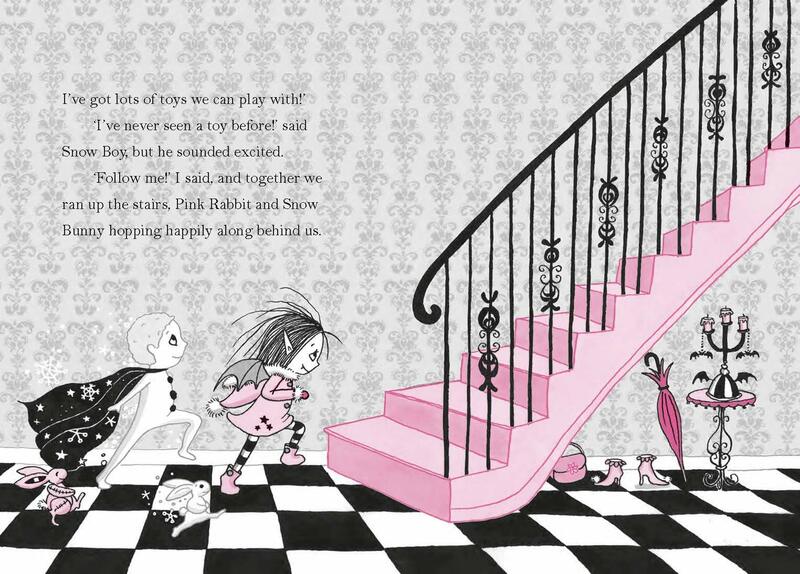 With irresistible pink and black artwork throughout and a totally unique heroine with an out-of-this-world family, this is a beautiful, charming, and funny series of first chapter books and C has thoroughly enjoyed this latest outing for Isadora Moon. 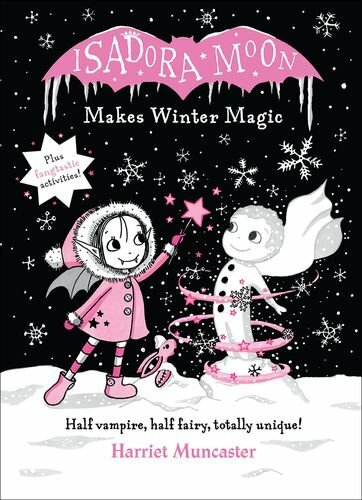 "Isadora Moon Makes Winter Magic" by Harriet Muncaster is out now, published by OUP / Oxford Children's Books (kindly supplied for review). 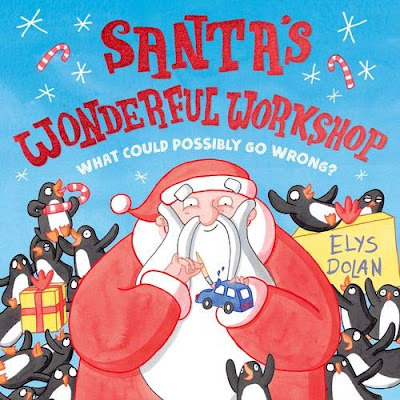 Opening the door of our Booky Advent Calendar on Day 11, it's time for "Santa's Wonderful Workshop" by Elys Dolan. Christmas is a time for giving gifts, snugging next to a warm fire with a warming cup of hot chocolate, or perhaps writing a list to Santa. This year Saint Nick thinks he's got everything under control. But disaster is on the horizon! Santa's workshop only seems to make rotten old toasters. There's a rampaging polar bear on the loose - and a whole stack of pesky visitors from the South Pole who keep getting in the way. What on earth will Santa do? Well, we won't spoil things too much for you, suffice to say that this is Mr Santa Claus we're talking about, and even with the stress of trying to get presents together for every one of you, he can handle things in his own inimitable and magical way. A brilliantly entertaining read, with the penguin visitors stealing practically every scene they're in! It's not quite the night before Christmas, but all through the house, special festive books are stirring, this one has a mouse! 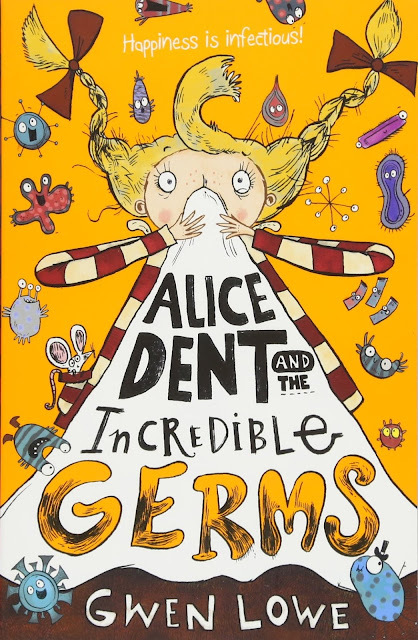 We're looking at a bumper selection of absolutely GORGEOUS books from Usborne Publishing today, and they know a thing or two about producing brilliant books for tiny tots. 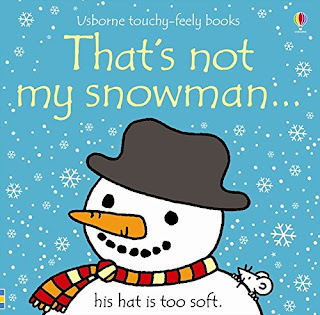 We have always loved the "That's not my" book series, and there are lots and lots of special festive ones, including "That's not my Snowman (His Hat is Too Soft!)". The Usborne "Touchy Feely" range is the perfect entry point for your own little readers, who will really enjoy the brilliant colourful illustrations and the various textures worked into each of the illustrations (and of course they'll love spotting that mischievous little mouse in each page spread too. There's also a newcomer to this awesome range...! 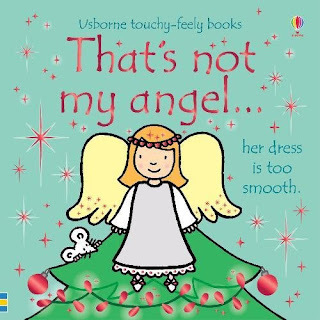 "That's not my Angel" is another festive classic in the making, again with a really nice sturdy and resilient board book format, and lovely textures perfect for curious little ones. "That's Not My Snowman" and "That's Not My Angel" by Fiona Watt and Rachel Wells are both out now, published by Usborne. If your children are slightly older, and still haven't "Let it Go" then they might love this next christmassy snowy book, particularly if they love getting creative with stickers. The "Little Sticker Dolly Dressing range is perfect for smaller hands, little mini versions of the larger "Sticker Dolly Dressing" range with tons and tons of festive dresses and beautiful wintry colours to apply to the page designs within. 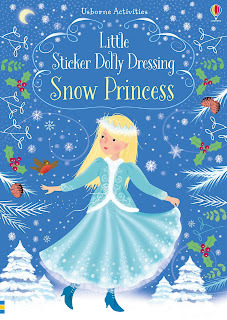 "Little Sticker Dolly Dressing Snow Princess" will definitely appeal to kids who are still completely in love with Disney's "Frozen" with lots of beautiful snowy scenes and colourful stickers to complete a wonderful story. There's also "Little Sticker Dolly Dressing" books themed on many popular fairy tales, so children are bound to find a particular favourite. Guaranteed to keep your little ones busy (and blissfully quiet) for a couple of hours while you baste your nut loaf and scrub up your roast spuds, check out the "Little Sticker Dolly Dressing" range by Fiona Watt and Antonia Miller, published by Usborne. 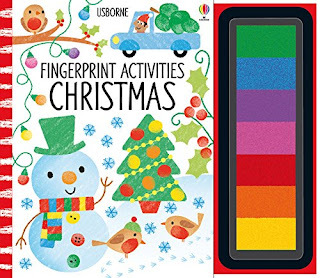 "Fingerprint Activities: Christmas" lets your little ones get artistic with a beautiful set of festive colours on a special inkpad accompanying this book. Create lots and lots of festive scenes with some great ideas for each christmassy scene. From snowmen to christmas trees, fat cheeky robins and of course lots and lots of presents. 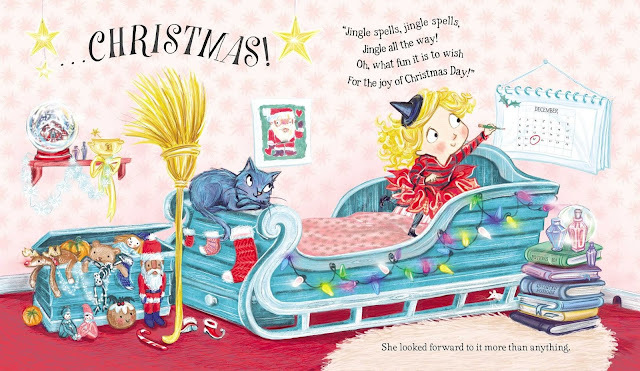 "Fingerprint Activities: Christmas" by Fiona Watt and Candice Whatmore is out now, published by Usborne. 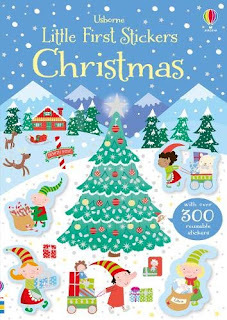 More festive sticker fun now, with Usborne's brilliant range of "Little First Stickers" books, with a special Christmas edition featuring over 300 easy-to-stick reusable stickers to create the most adorable elf-filled snowy scenes. With good quality die-cut stickers perfect for little hands, this is another winning range from Usborne designed for kids who are just beginning to explore their own creativity with their first sticker books. 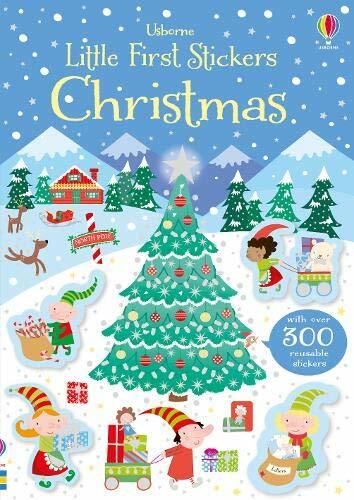 Check out "Little First Stickers: Christmas" by Kirsteen Robson and Stella Baggott, available now from Usborne. Phew! Is there any more room in our bumper Usborne book bag for more? Dive down to the bottom of the sack for the last set of books - a glorious die-cut set of board books for the very youngest readers. Usborne's "Peep Inside a Fairy Tale" series has lots of festive titles including the very timely release of a truly gorgeous version of one of our very favourite festive-themed fairy stories ever, "The Nutcracker". One magical Christmas night, a little girl's Nutcracker doll comes to life! Peep through the pages to follow their adventures in this enchanting book, with delicate cutaways, flaps to lift and stunning illustrations from Karl James Mountford. 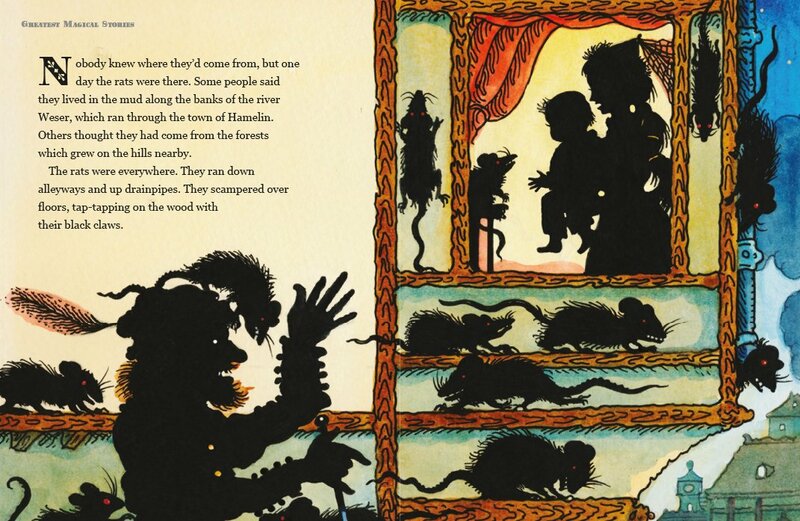 A beautiful way to introduce children to the classic fairytale. Also in the range are "Snow White" and "The Snow Queen" to complete a truly gorgeous range of books with special cutaways and beautiful illustrations complimenting the stories. 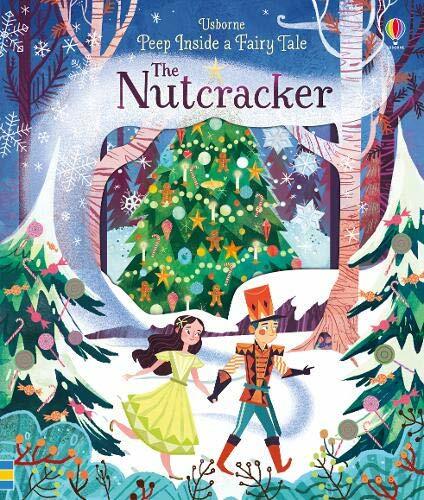 "Peep Inside a Fairy Tale - The Nutcracker" by Anna Milbourne and Karl James Mountford is out now, published by Usborne. 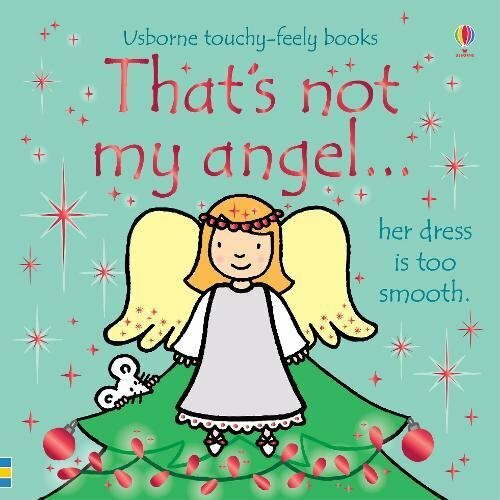 A truly superb collection of christmas books for your little ones, do pop along to the Usborne Website to find even more festive booky treats. (All titles kindly supplied for review). It's time for Day 10 of our Booky Advent Calendar, and here's a fabulous chapter-based outing for two of our favourite picture book characters. Winnie the Witch and Wilbur her long-suffering moggy are back for an all-new festive adventure in this fantastic gift edition of "Winnie and Wilbur: The Santa Surprise" by Laura Owen and Korky Paul. 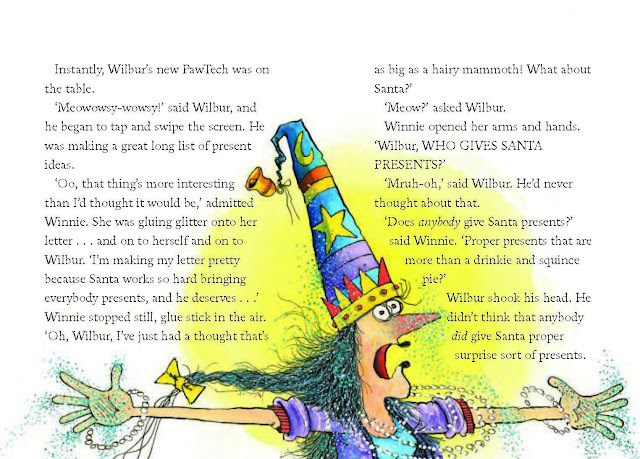 The run-up to Christmas is hugely exciting, even in the magical world of witches and wizards - and Winnie & Wilbur just can't wait for the big day. But as they start to think about presents and turkey, Brussels Sprouts and perhaps the odd glass or two of sherry or catnip, what about poor old Santa? Who's going to get HIM a present? 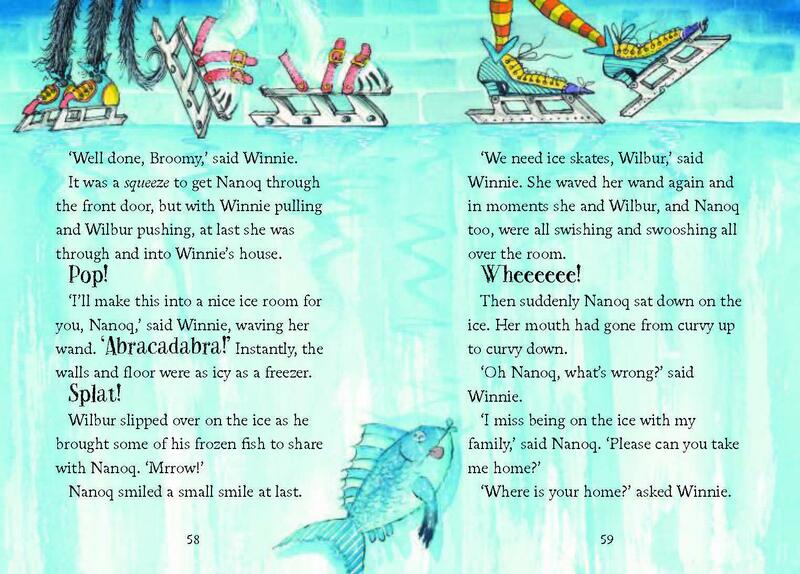 So it's time for an epic quest to the Frozen North for Winnie and Wilbur to ensure that the big fellah, Mr S. Claus himself, also gets a gift and a christmas he'll never forget! Let's hope Winnie has packed her thermals! Winnie and Wilbur might need some extra help this christmas! A delightfully charming story outing for Winnie and Wilbur, perfect for younger readers who are looking for more wordy fare than picture books. "Winnie and Wilbur: The Santa Surprise" by Laura Owen and Korky Paul is out now, published by OUP / Oxford Children's Books (kindly supplied for review). Our Booky Advent Calendar entry for Day 9 might have the very loosest connection to Christmas (well, Turkeys and Thanksgiving) but it's still a hugely impressive piece of work and well deserving of inclusion in your christmas book shopping list. 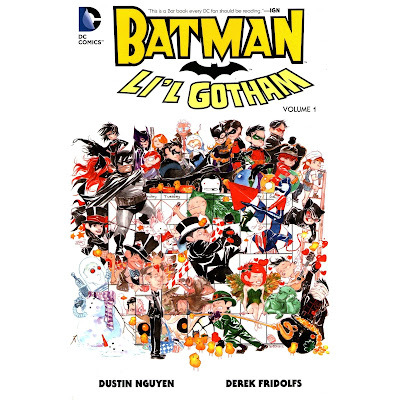 We've loved Nguyen and Fridolfs' take on the Bat-Universe for ages, reinventing awesome DC characters for the "Fort Solitude" series - and showing that there are far better ways to wean your kids on DC's unfathomably complex comics universe without exposing them to tons of dark stuff. Nguyen and Fridolfs have achieved something I never thought we'd be able to put our stamp of approval on. 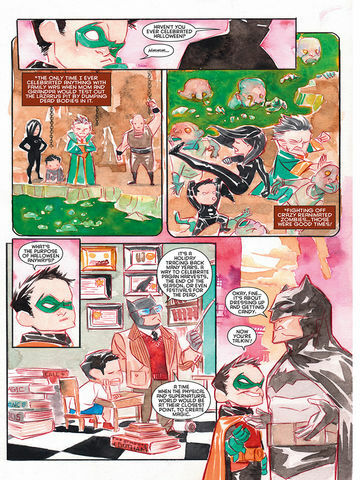 They've taken characters we know and love from the Bat-Universe here, and turned them into the most adorably playful scamps you can imagine. The compilation here works through several holidays, including Robin's take on a Halloween parade, and what happens when The Penguin takes on a one-peng crusade to free tasty turkeys from imminent doom on the dinner table. Just LOVE Robin's 'study' face here. That's C after her holiday homework assignments! 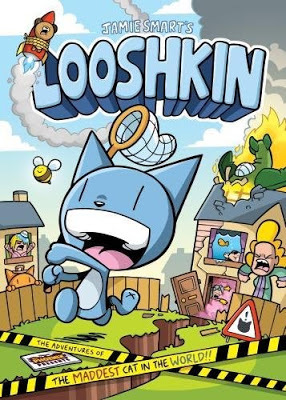 Purists might get a tad upset at the thought of a kiddified character assassination of their fave heroes, but we really love these - and despite the many, many other attempts there have been (and are still ongoing) to give kids a taste of DC's greatness, this is by far the best. 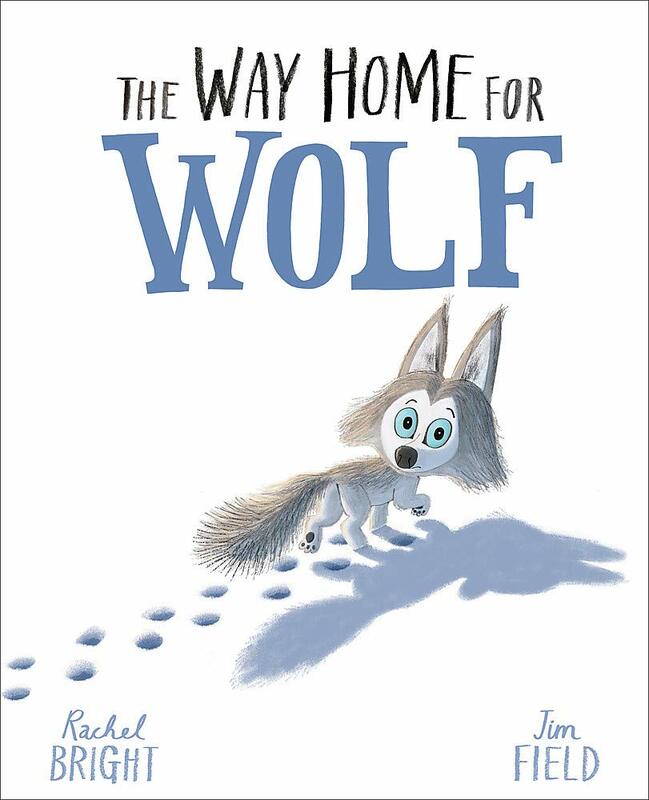 We're cheating a little bit with Day 7 on our Advent Calendar - again although this isn't a Christmas book per se, the crisp snowy landscapes and gorgeously cuddly little story of a wilful wolf called Wilf will tickle and entertain you. 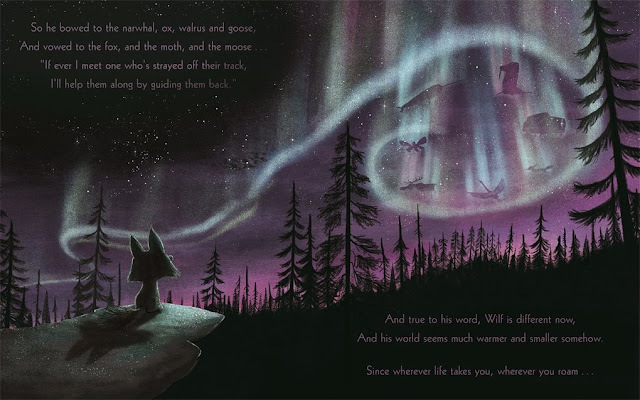 "The Way Home for Wolf" by Rachel Bright and Jim Field sees the talented duo tell the tale of young Wilf the Wolf. Wilf might look cute and adorable but he's as strong and independent as a wolf cub can be. He doesn't need help from his friends and family - whatever it is, he can do it ALL BY HIMSELF. Pretty sure we all know a toddler or two like that, right? But when Wilf finds himself lost and alone in the snow and chill of an Arctic night, he discovers something important - sometimes we all need the help of a friend to keep us safe and show us the way in the dark. 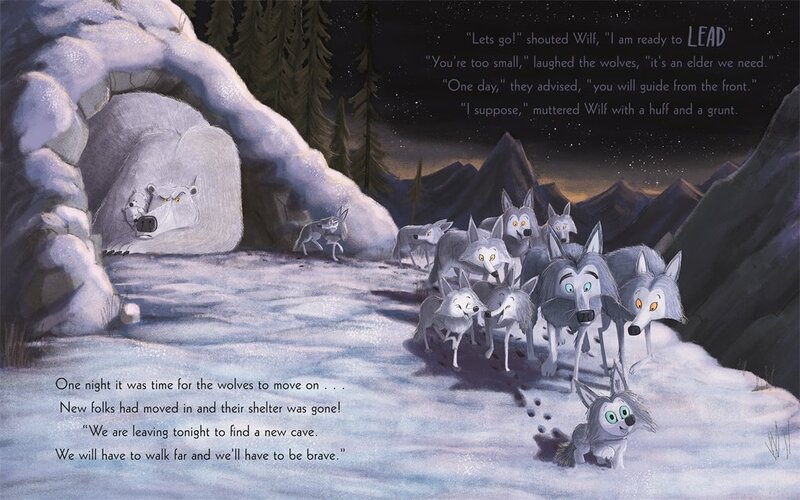 Wilful Wilf the Wolf. Try saying that with a mouthful of Christmas Pudding! What a truly beautiful book. That there Jim fellah is very talented! Utterly brill! It'll have you wishing for snow too! Oh my, we've been waiting for this one for a long long time...and it does not disappoint...! Here's an awesome Booky Advent Calendar book that comfortably covers two holidays, as it'd also be great for Halloween as well as Christmas. "Jingle Spells" by James Brown is the fab little story of Trixie the Witch. Trixie’s friends think she’s batty as a vampire, so she needs Santa’s help to spread the Christmas joy. But when she visits Lapland HQ, Santa is nowhere to be seen, the elves’ shelves are empty and ALL WITCHES are on the Naughty List! Luckily, Trixie knows a spell or two that just might save Christmas for everyone. 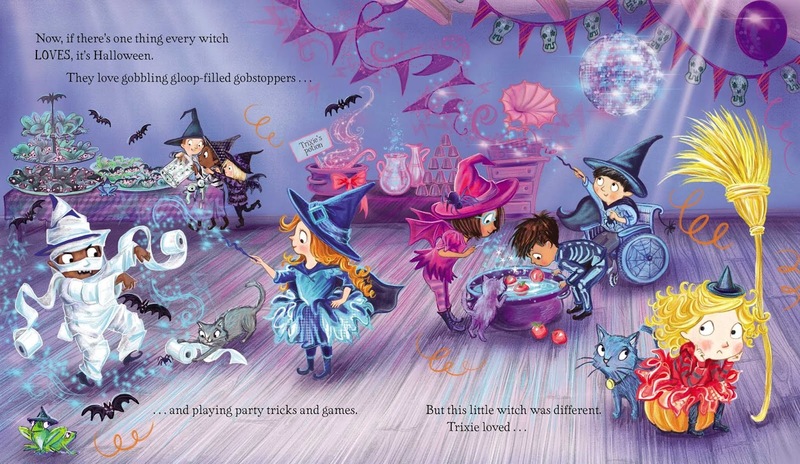 Join Trixie, Rudy the cat, LOTS of elves and witches . 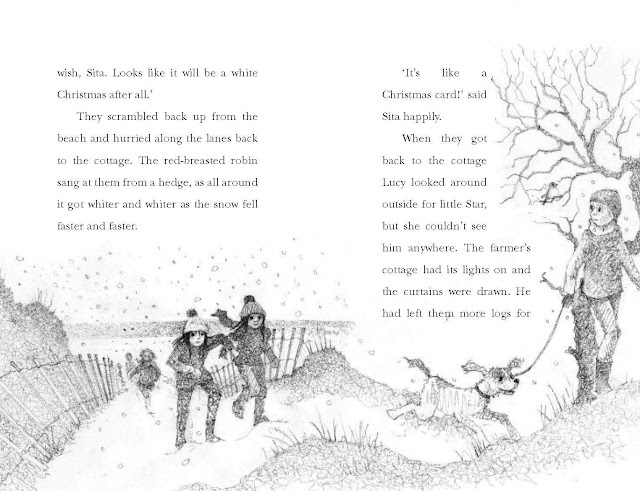 . . and even Santa himself in this beautifully illustrated picture book by James Brown. Are you counting down the days yet? We most certainly are! 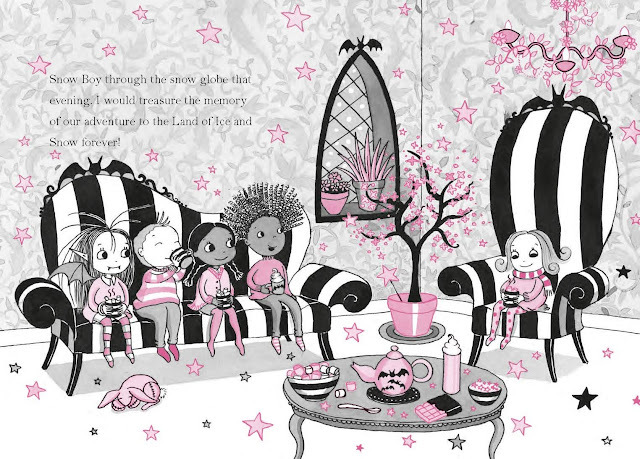 Trixie is such an adorable character, and we love all the cool little details in James' illustrations. Gotta love a Halloween-Christmas Mash-up! 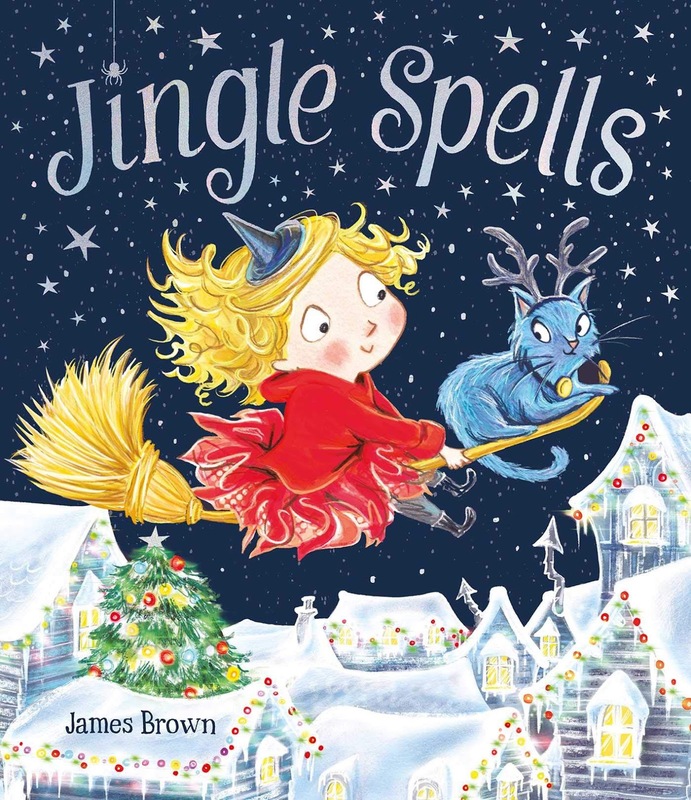 "Jingle Spells" by James Brown is out now, published by Simon and Schuster Children's Books (kindly supplied for review).